My name is Nick Oud and I live near Delhi, Ontario in Canada. 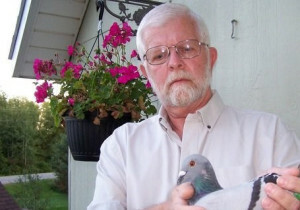 Racing pigeons are my hobby and my passion and have been since I was a boy. I have participated in this sport for 40 years or more and now fly under the name of N & E Oud. The E is for my wife Enna, my life partner and partner in the racing pigeon sport.